While much of the International Cup coverage here in the States has focused on the Freedom and Revolution - and rightfully so - the USA Liberty women’s side has been heavily involved as well, embarking on their third Australia tour. In 2009, the Liberty were born as a women’s developmental squad in association with the USA Freedom. That year, the Liberty showed their skills against several different Aussie women’s teams in several different cities, from Melbourne to Cairns. Following the success of this inaugural tour, the Liberty returned in 2011 to go up against the Canada Northern Lights in the 49th Parallel Cup. 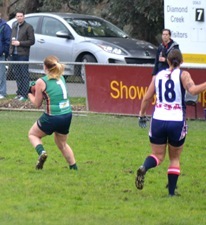 In 2014, the Liberty joined the Freedom for the IC, returning the Melbourne and competing against several local sides. This was a very valuable experience for the players involved, many of whom use their experiences as a springboard for other representative spots, including on the Freedom Side for the IC and the 49th Parallel Cup. The team is currently coached by former Freedom star Judith Stein. So many times the dream and our reality are vastly different. It is certainly true in Tyler Ames’ case, but his current reality is somewhat of a dream, and it certainly doesn’t resemble what he saw for himself. Tyler went to college in the US as many of us do. He figured he’d become a businessman and have the American dream - a wife he loved, two kids, two cars, and such. He settled on accounting and finance at the University of Northern Colorado in Greeley and landed a job. One day he became good friends with Michio McGrath, an Australian expat who persuaded him to try his hand at footy. Ironically, it was Tyler who helped recruit Michio to his accounting firm. McGrath in turn spent an entire Colorado winter selling Tyler on the game as well as on his favorite club the West Coast Eagles. 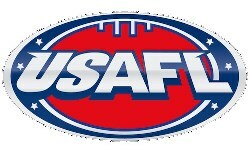 The metro season for the Southern California Australian Football League (SCAFL) comes to a close on Saturday, June 17th, at South Lake Middle School in Irvine, California. The day starts with a 9 AM inter-club match for the Los Angeles Dragons women’s side, followed by the LA Sharks vs. the San Diego Lions (10:30 AM), and the LA Outlaws vs. the Orange County Bombers (12 PM). 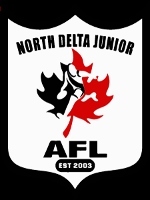 Brianna Davey, one of Carlton’s marquee players in the AFLW, has agreed to become the International Ambassador for the North Delta Junior AFL in southern Vancouver, within British Columbia, Canada’s westernmost province. Decorated athlete Erin Phillips has re-committed to the Crows for the 2018 AFL Women’s Competition (more below). Today's announcement comes days after Phillips attended the USAFL match between the Austin Crows and the Houston Lonestars in Allen, Texas. 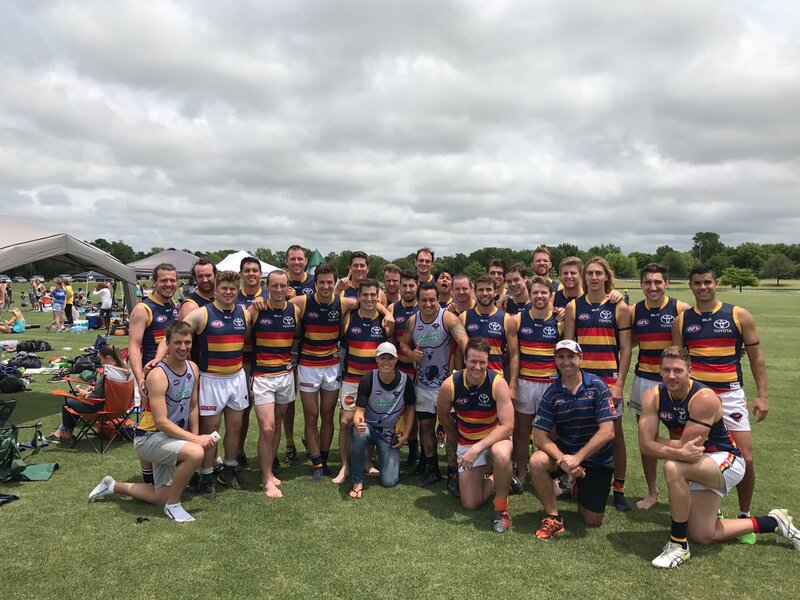 It appears that a Twitter invitation to Phillips from the USAFL national champions the Austin Crows ( @austincrows ) lured the Dallas based star out to the game. For the record the Austin Crows 4.1 (25) defeated the Houston Lonestars 2.8 (20). It’s been a time of transition and turnover for the Atlanta Kookaburras. Season 2016 ended with the squad combining with Baton Rouge (Louisiana) at USAFL Nationals and finishing just out of the finals series. Their one loss was by 10 points in their opener to a skilled Des Moines (Iowa) side while learning to play together. They followed that with a win by 11 over perennial power Denver. Their third and final game was a resounding victory over Tulsa (Oklahoma), made more remarkable because they played the match after learning a clerical error would keep them from advancing. A high point of 2016 was the club’s 100th win, coming on the road vs. the Nashville Kangaroos. Kevin Sheehan along with other AFL staff and club recruiters have again assembled in Los Angeles for their annual combine to identify American talent to bring to AFL clubs. Recent success stories from previous years are Mason Cox (Collingwood), Jason Holmes (St Kilda) and Matt Korchek (Carlton). But the 2016 combine did not result in any athletes being taken by an AFL club. Athletes will be put through extensive athletic and skills testing along with interviews by AFL clubs and educated about the Australian game. 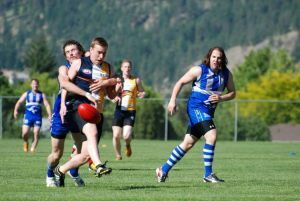 Aussie rules has developed rapidly in the country of Canada in the past decade or so, buoyed by a wave of Aussie ex-pats who live and work in the large cities of Vancouver, Toronto, and Ottawa, among others. There are several leagues currently operating, most notably in Ontario, Alberta, Quebec, and British Columbia. The AFL brought the game to Canada officially in the late 1980s, when exhibition matches were held in both Vancouver and Toronto. In fact, the 1987 Vancouver-based match between Sydney Swans and the Melbourne Demons drew a record crowd of over 32,000 – which, to this day, is the largest crowd ever to see a footy match outside of Australia. 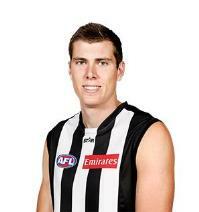 Collingwood big man Mason Cox is healthy and ready to be a difference maker in 2017. Now on the senior list, he’s in line to play a larger role in part due to a couple of departures-- Premiership player Travis Cloke to the Western Bulldogs, and second ruckman Jarrod Witts, who is now a Gold Coast Sun. 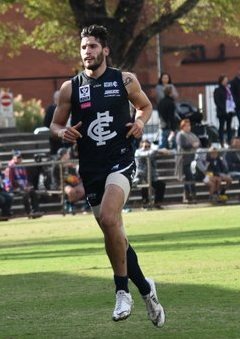 At 211 cm Cox is able to play some in the ruck, but his soccer and basketball skills make him versatile enough to win his fair share of marking contests on the Collingwood forward line. Certainly his teammates love having a big target up front. By now you’ve certainly heard the story of the big man (and fellow Texan). He played on the scout team for the Oklahoma State University women’s basketball side, worked his way onto the men’s team, graduated with an engineering degree, and was about to start a new job when he showed up at the AFL combine in 2014.